A WRITER'S LIFE: Afterland Chronicles Trilogy - Audiobook OUT NOW! 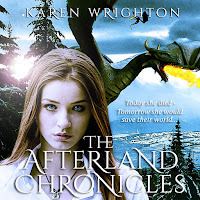 Afterland Chronicles Trilogy - Audiobook OUT NOW! I have been working hard to bring you the full Afterland Chronicles Trilogy on audiobook. So, if you are an audiobook lover the book is available on Audible and iTunes. The book is narrated by a first class, experienced audiobook producer and narrator - John H. Fehskens. The audiobook includes all three volumes - ASCENSION OF THE WHYTE, RYTE OF PASSAGE AND ICE AND FYRE.